How much is N.O.R.E. Worth? N.O.R.E. net worth: N.O.R.E. is an American hip hop and reggaeton artist who has a net worth of $2 million dollars. N.O.R.E., also known as Victor Santiago, Jr., was born in Queens, New York, and first made a name for himself in the mid-90s. Known as Noreaga during the early part of his career, he originally performed as part of the duo, Capone-N-Noreaga. The pair met while both were in jail, and subsequently signed with Penalty Records. They released their debut album in 1997. The album was a success and spawned three hit singles. Capone returned to jail soon after, and Noreaga embarked on a solo career. "N.O.R.E. ", his solo debut, was released in 1998, and was later certified Platinum. 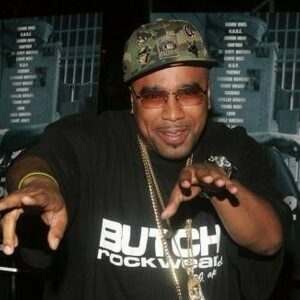 He then went on to release another album under the name Noreaga, before changing his name to N.O.R.E. with the release of his third album, "God's Favorite" in 2002. He has since released three more studio albums. He is set to release one more album, before retiring from performance and recording to focus on working as a music executive.